This winter salad is so much more than its individual elements. 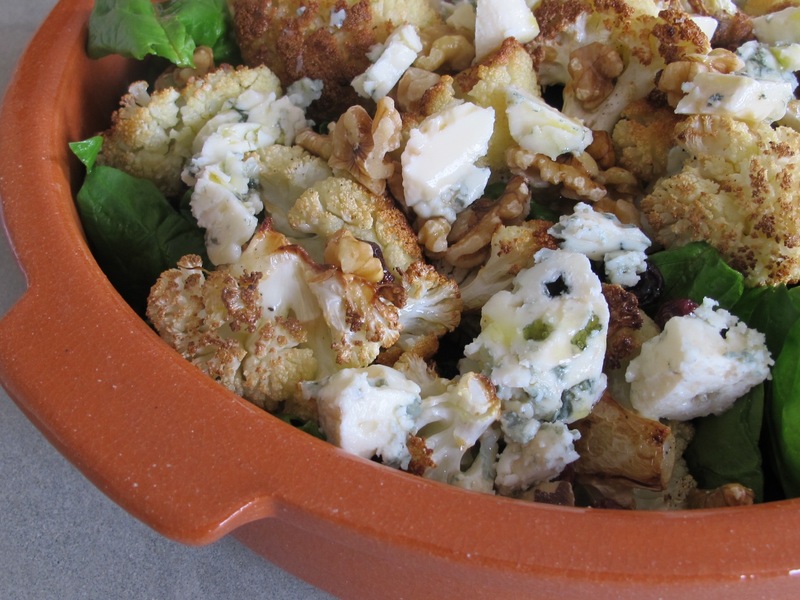 Once you get over the idea of putting warm cauliflower into a salad, this will quickly become a favourite. With everything assembled and ready to go as soon as the cauliflower is cooked, the combination of melted blue cheese, walnuts and cranberries is moreish. The original recipe calls for dried sour cherries which we didn’t have, but cranberries provided a good sweet/sharp kick. There are many variations of this salad possible, if you alternate the type of nut, salad leaf and dried fruit. Heat the oven to 180 [deg]C/200 [deg] C non-fan]. 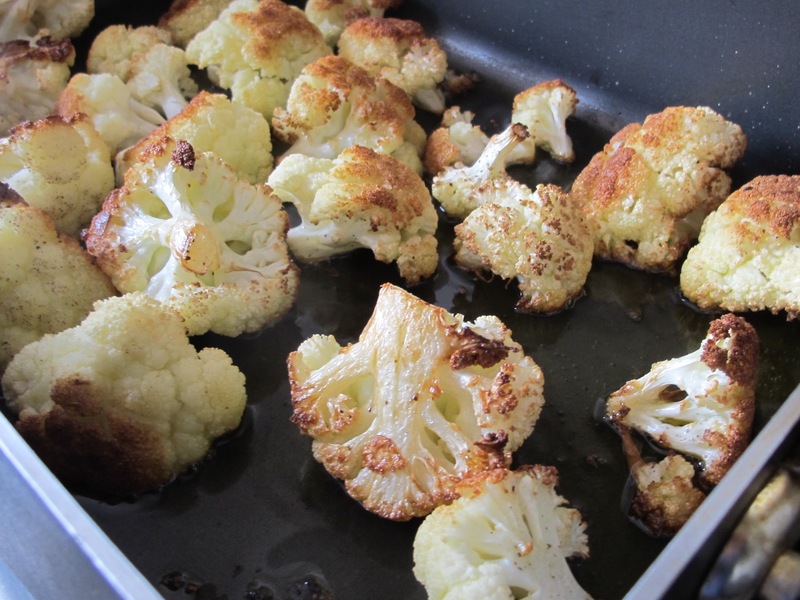 Put the cauliflower into a roasting tin, drizzle with the olive oil and sprinkle with salt and pepper. Roast in the oven for 30 minutes or until the cauliflower is tender when tested with a sharp knife and has crispy bits. Rinse the spinach and arrange in a large serving bowl. Top with the roasted cauliflower, cheese, cranberries and walnuts. Drizzle the vinegar and extra oil, as much as you prefer, and serve warm. 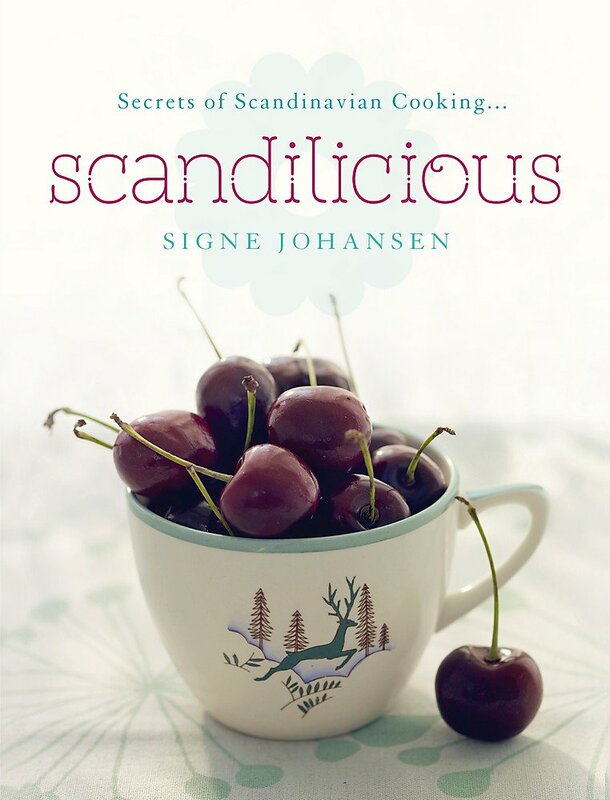 This recipe is by Norwegian chef Signe Johansen, click here for her website. This entry was posted in A love of food and tagged Andalucia, food, recipes, Sandra Danby, Spain on April 19, 2017 by sandradan1.